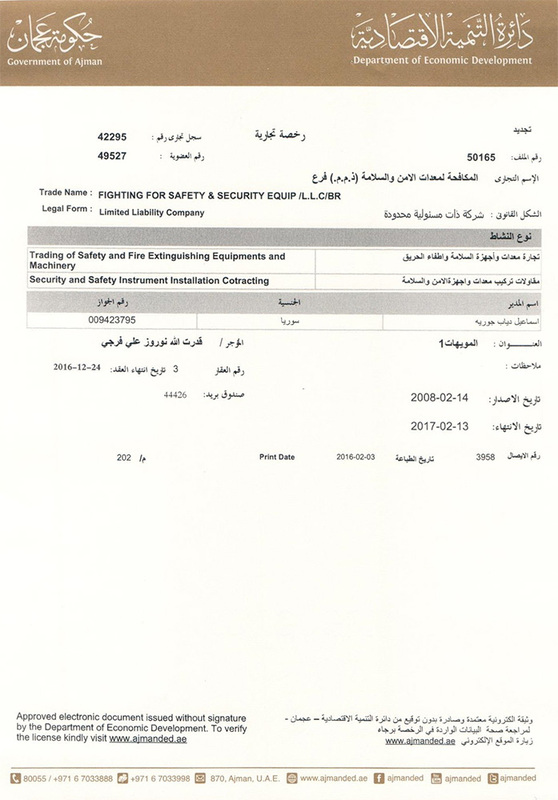 It is well known that any company that wants to engage in the installation and maintenance of fire safety and security in the United Arab Emirates must get permits and licenses by the competent authorities and civil defense. 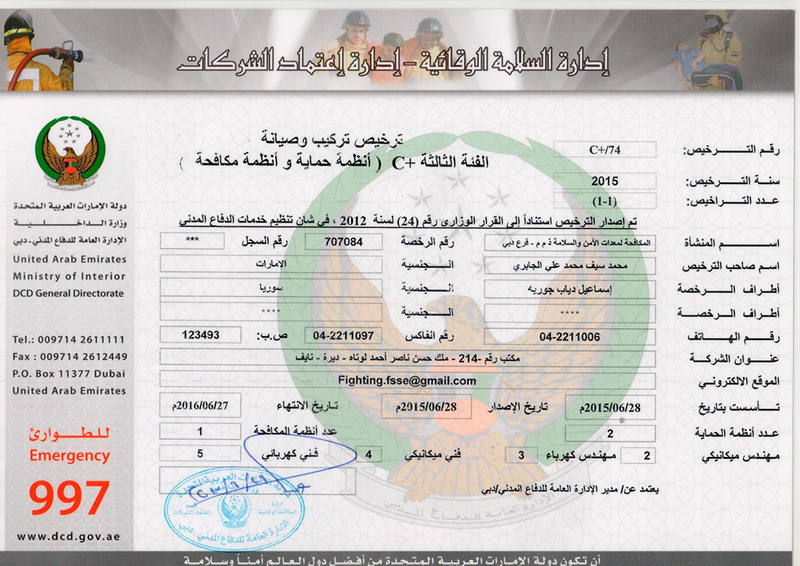 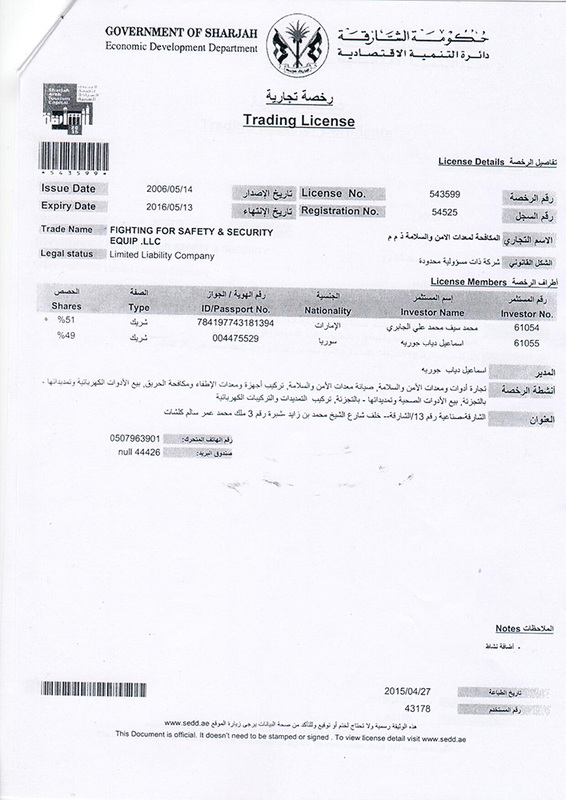 Thanks to God and the efforts of employees of the company Fighting for Safety and Security L.L.C. 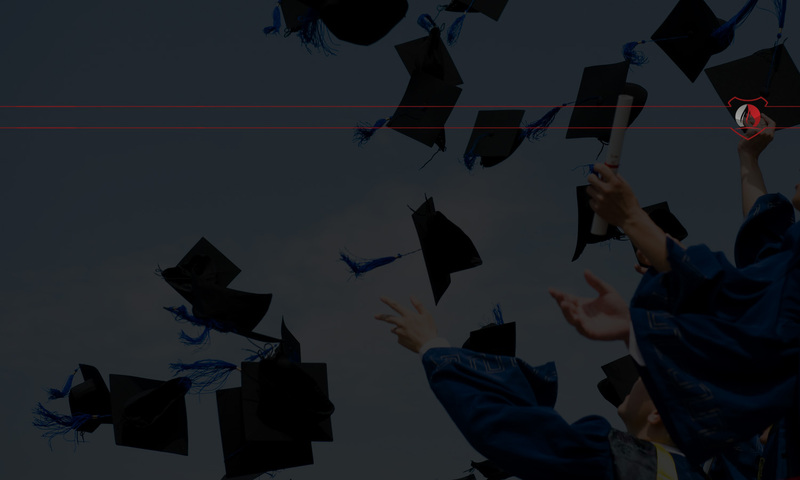 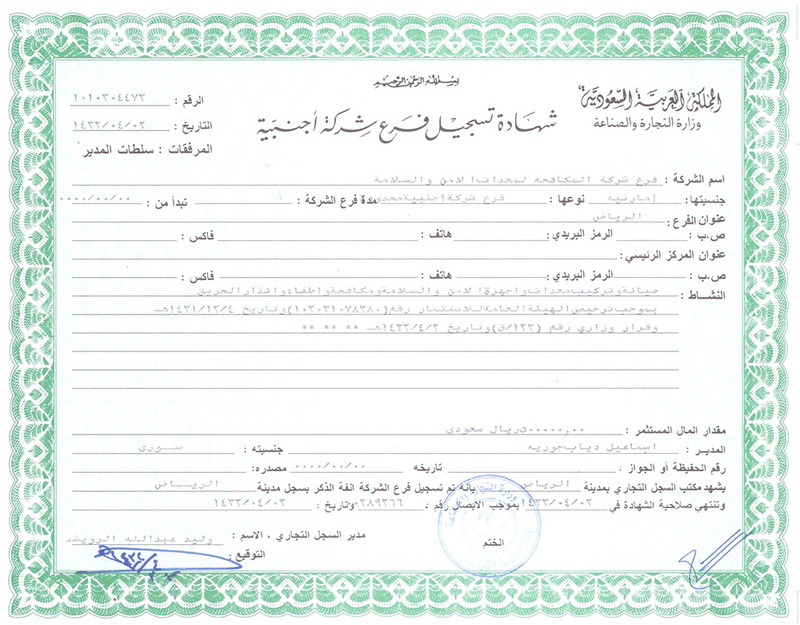 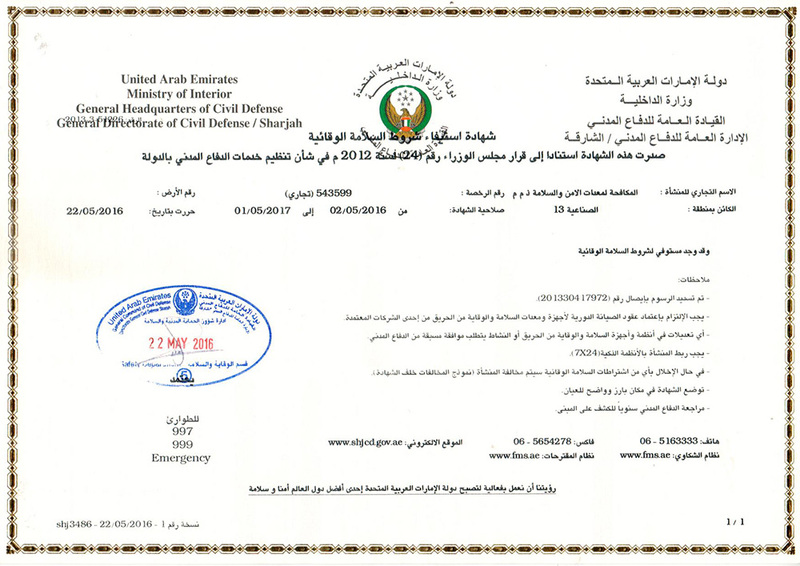 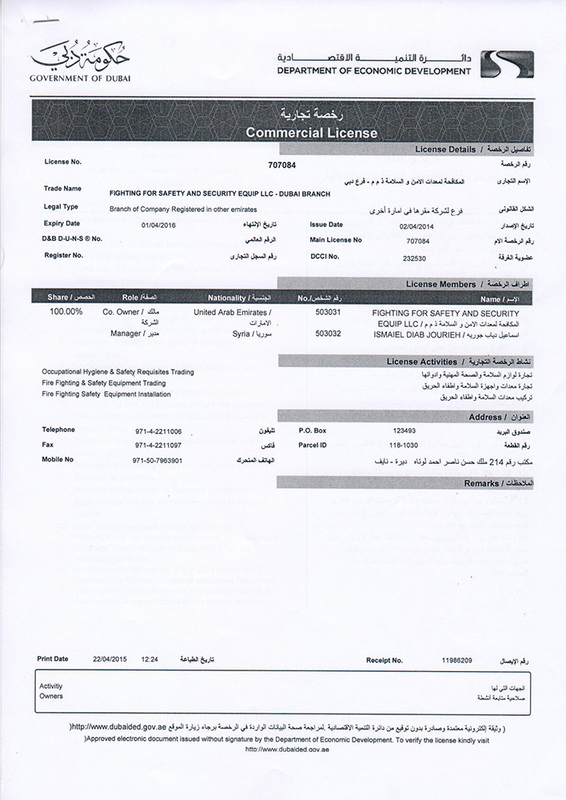 has been fulfilled all the requirements and conditions for such licenses and certificates to make the way among the leading companies in fire protection field and start our work successfully, the most important of these licenses are the Public Administrations and Civil Defense, which allows it to install all the fire equipment and alarm systems and lighting emergencies of all kinds and sizes, as well as their maintenance and installed according to the rules applicable license. 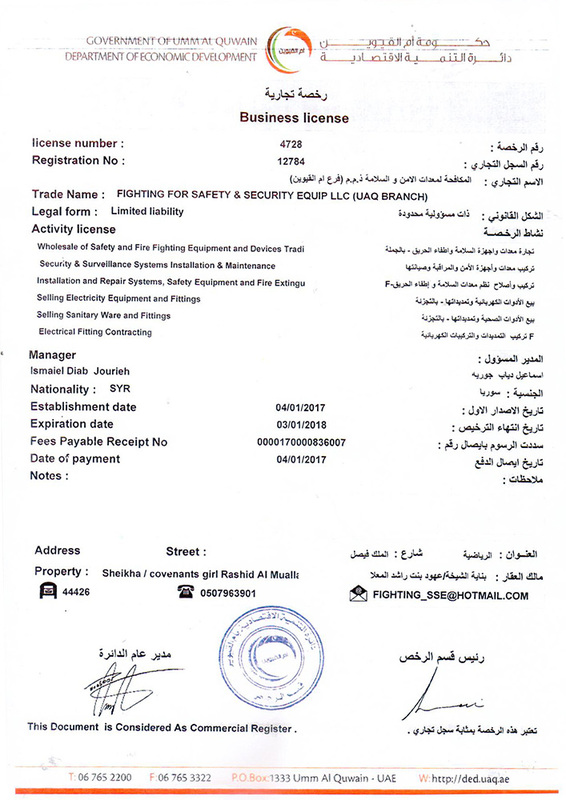 Fighting for safety and security Equip .L.L.C has its base of operations in the Emirate of Dubai, Sharjah, Ajman and UAQ. 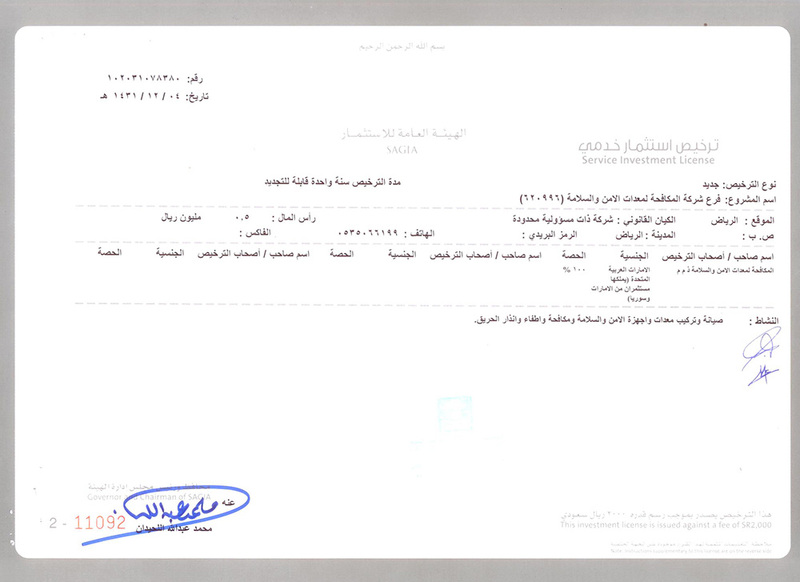 Our facility in the kingdom of Saudi Arabia has also been successfully accomplished .We have been registered in the Ministry of public works of United Arab Emirates and the Dept. 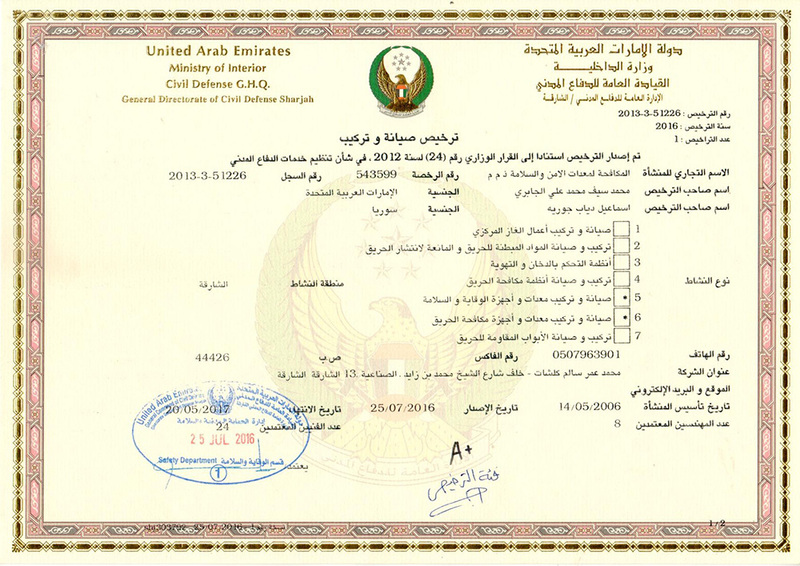 of private properties of United Arab Emirates and the Govt. 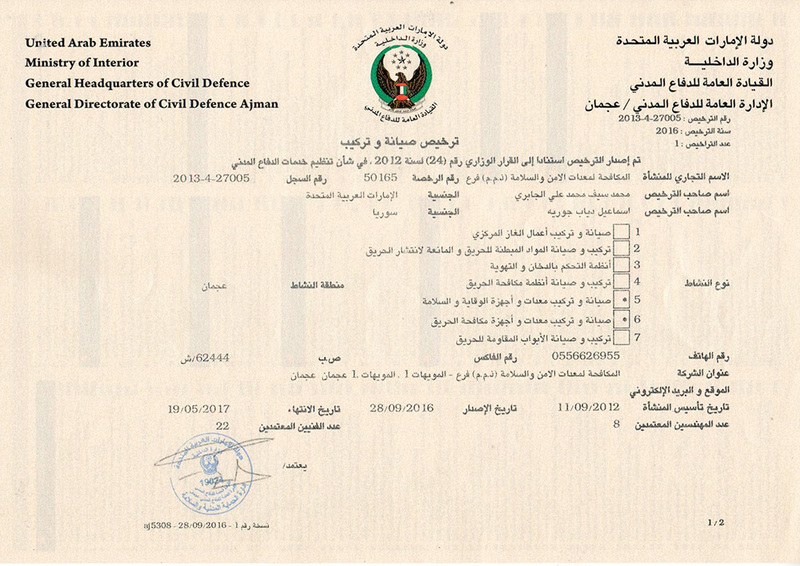 and the Dept. 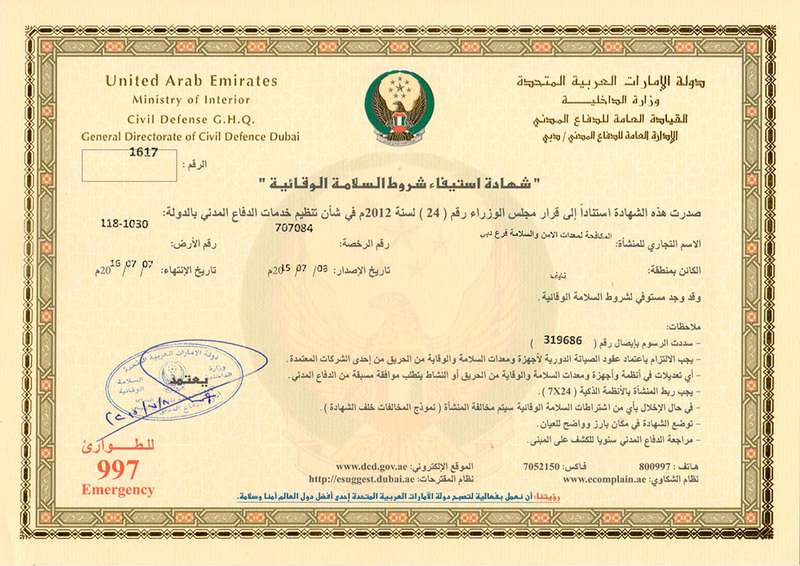 of private properties. 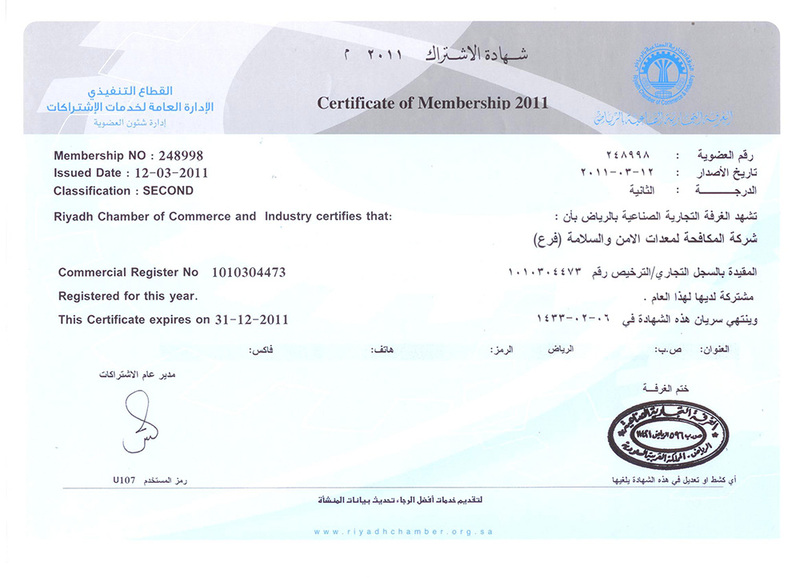 We have also acquired the registration and certification of the company from many government agencies and departments operating in the country and abroad, including: Investment Authority, Saudi Arabia, and the Department of Public Works in Sharjah and the Department of private property in Ajman as well as most of the zones and free ports, and most municipalities and the Department of electricity, water and police departments and the airport of Sharjah, Dubai and most engineering consultancy and contracting offices outside and within the country, we have got from them many thanks and appreciation certificates and we have obtained consent from each deal with us. 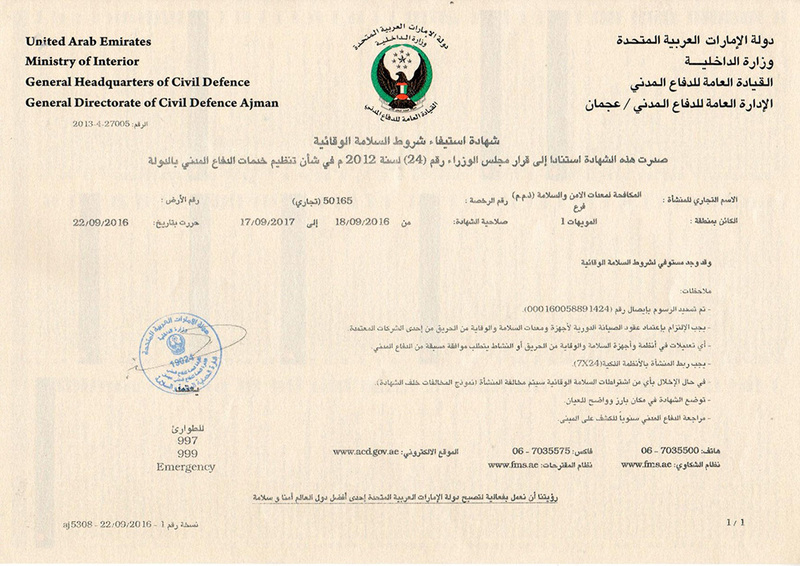 During this year we were able to achieve the most trusted company awards from the civil defense inspectors and other higher officials.